Have you ever wondered why you failed to get a valuable opportunity ‘over the line’, even though you had done all your homework and diligence; crossed all your “t’s” and dotted all your “i’s”? 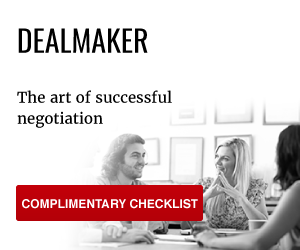 Perhaps you overlooked some of the negotiation fundamentals that are still so important? Even legendary deal-maker and investor Warren Buffett recently suffered a rare defeat in a massive takeover bid. Don’t be discouraged if you haven’t quite mastered the art of the deal. It’s a shortcoming that has even tripped-up the likes of Barack Obama and tech giant Apple, according to a list compiled last year by Harvard Law School. Beyond costing you the deal, depending on audience and culture, not ‘nailing it’ can cause catastrophic offence, cause reputational damage and above all else close the door tightly on what could have been further commercial opportunities. 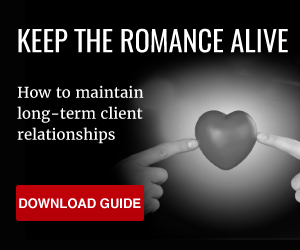 In a previous white paper, The negotiation checklist – how to prepare for your next deal, we looked at what you need to do to prepare effectively if you want to succeed when negotiating. “The very best negotiators take a broader approach to setting up and solving the right problem. With a keen sense of the potential value to be created as their guiding beacon, these negotiators are game-changing entrepreneurs. They envision the most promising architecture and take action to bring it into being. These virtuoso negotiators not only play the game as given at the table, they are masters at setting it up and changing it away from the table to maximise the chances for better results. To advance the full set of their interests, they understand and shape the other side’s choice — deal versus no deal — such that the other chooses what they want. As Francois de Callieres, an eighteenth-century commentator, once put it, negotiation masters possess ‘the supreme art of making every man offer him as a gift that which it was his chief design to secure’.” – Harvard Business School professor James K. Sebenius. Pierre Morgan-Davies is a partner of Templar Advisors and works extensively with equity research, equity sales, fund managers, and portfolio managers on their persuasive communication skills. He has a degree in Politics & International Relations and works on new business pitches, major conference speeches, IPOs and trade sales. Here Pierre explains how to master the fundamentals of negotiation. Your mindset is critical. The service oriented mindset of the selling phase isn’t necessarily the mindset of the negotiation phase. Good negotiators understand that they need to be confident, open, creative and in control. Often the negotiator mindset comes from good preparation, strong process and a good compliment of techniques to get you out of trouble when you need them. But it’s also the psychological effect of negotiating with oneself beforehand. An example of having the wrong psychological mindset is convincing yourself “they’ll never pay what we want. Let’s go in a little lower!”. Focus on the value and aim high. Those who aim high consistently achieve a higher price. “The richest people in the world go into a negotiation knowing exactly what they want,” Siedel says. This includes knowing how low or high you’re willing to go on your price, depending on whether you’re a buyer or a seller. Don’t be tricked into budging from those departure points. Stick to your limits, either way. The inexperienced negotiator allows emotions to get in the way. Think back to when you last bought a house you fell in love with. Were you disciplined enough to stick to your budget? 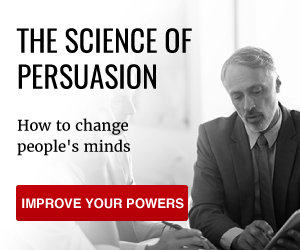 Robert Cialdini’s book ‘Influence: The Psychology of Persuasion’, explores the persuasive power of likeability, and if people are more likely to buy from people who they like, not treating the other person as a human could be your biggest downfall. Demonstrating warmth goes a long way to building the trust that creates the right environment for deal-making. When you’re talking too much it’s impossible to truly hear what the other person is saying and if you want to be a great negotiator, you’ll need to master the art of effective listening. In a previous Templar blog, we looked at building relationships that last and how being a good listener is critical when it comes to building trust. Asking short open-ended questions gives you more clarity and insight you can use again. THE FALL BACK – WHAT ELSE DO YOU HAVE? In an article with Business Insider, American author and professor of the faculty at the Ross School of Business, University of Michigan George Siedel, put forward the acronym BATNA. This principle is the Best Alternative to a Negotiated Agreement – in other words, your fall-back plan, in case the negotiations flop. Siedel uses the example of the carmaker Ford who may tell a supplier that it can easily take its business elsewhere if they cannot agree on a price Ford likes. The warning is that if you can’t find a way to present your BATNA in that sweet spot of not being offensive and threatening, best to leave it at the door. Plenty, according to Harvard Business School professor James K. Sebenius. “Even if you manage to avoid these mistakes as well, you may still run into difficulties by approaching the negotiation far too narrowly, taking too many of the elements of the ‘problem’ as fixed,” Sebenius writes.